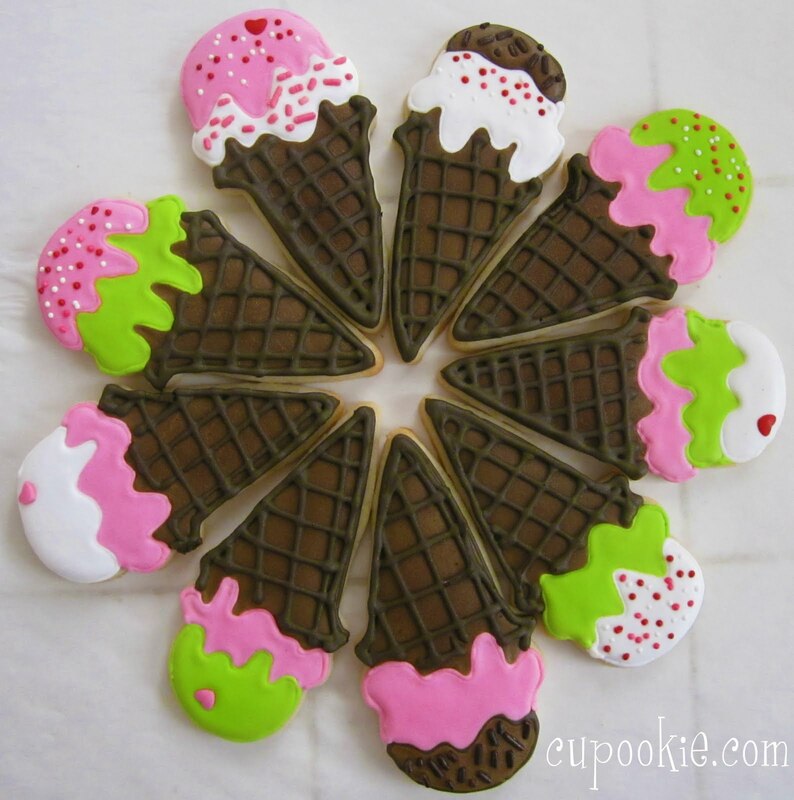 I love icecream & I love cookies so why not Icecream Cone Cookies? yeah i like that touch. Ive had this cookie cutter for some time now & thought it was time to have some fun with it. I think they are cute for a girls birthday party. The colors could be anything posssible. 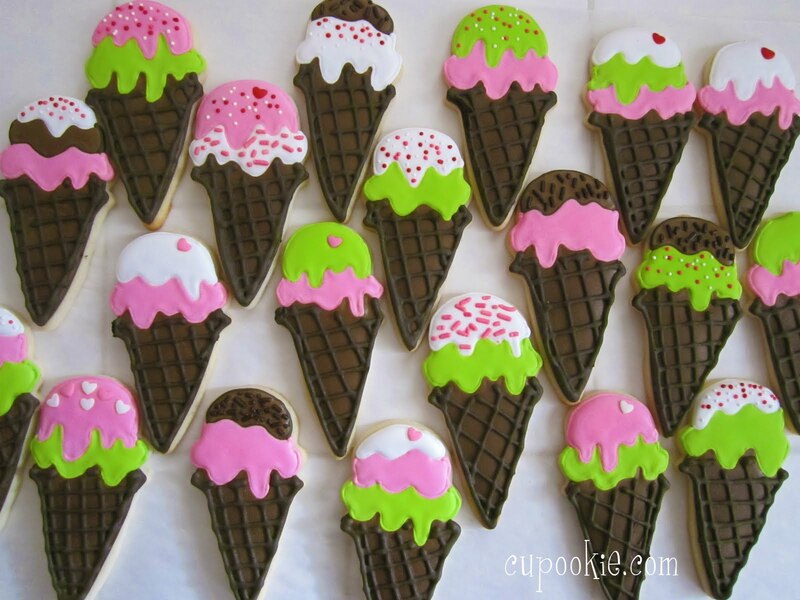 So yeah..i better go eat up some of these cookies before they melt on me....be right back!